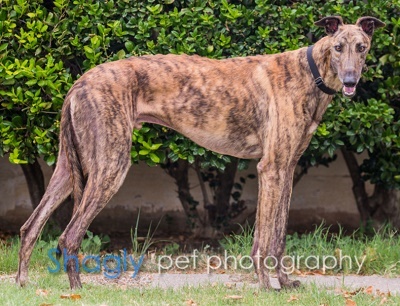 Pyrite, aka Pyrite Blue, is a 3-year-old brindle male born July 2, 2013. His sire is Pat C Clement and his dam is Gallant Ruler. Pyrite has 84 races on record in Florida from 2015 to 2016. Pyrite is not condsidered to be cat or small animal tolerant at this time. 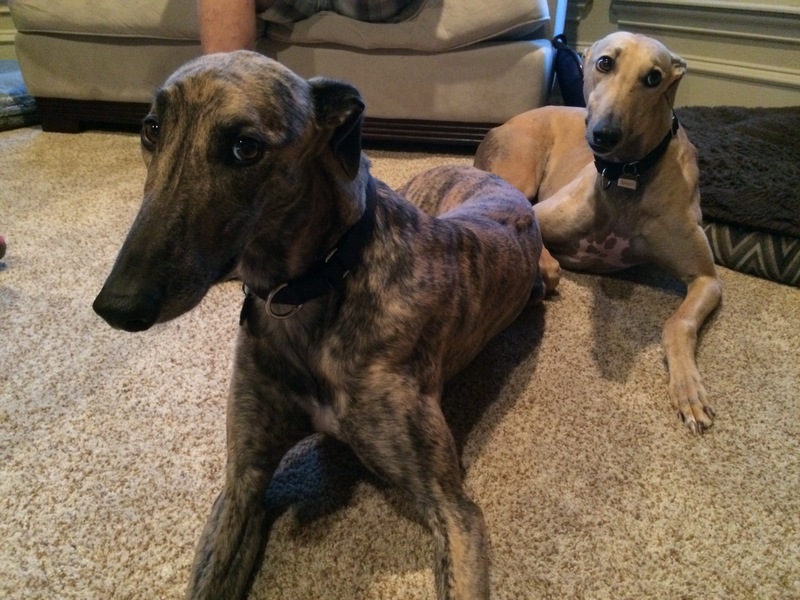 Pyrite was part of the Greyt 32 Arrival!